Gallant & Sons Services Inc.
Gallant & Sons Services is a full service landscape maintenance and design company. Established in 1987, Gallant & Sons has decades of experience in the landscape maintenance industry. For over 20 years, as a family owned and operated business, we have been providing clients with high-quality personalized service. 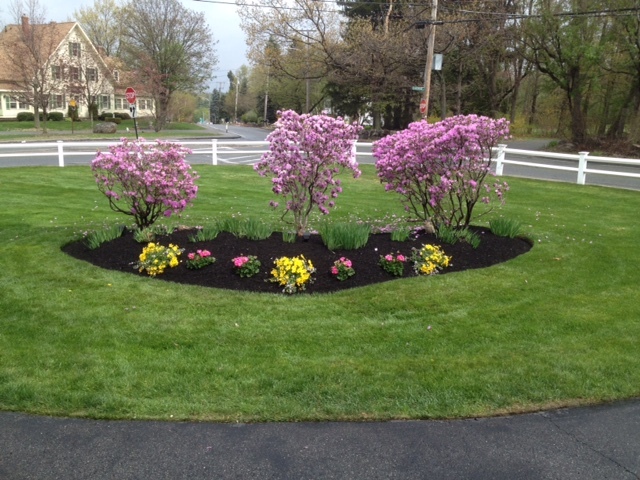 Offering a full line of landscape maintenance and design services, Gallant & Sons primarily services the Greater Lowell area including the towns of Billerica, Burlington, Chelmsford, Westford, Tewksbury, Carlisle, Bedford, and Wilmington. However, do not hesitate to contact us if you are outside of our primary service area as we can often still accommodate all of your landscaping needs. Gallant & Sons also specializes in the maintenance of commercial properties and corporate business parks and grounds. Gallant & Sons exists to provide all of its clients with exceptional quality landscape maintenance and design services. Regardless of the scope of your project you can always expect and receive the full effort from our staff and array of equipment. At Gallant & Sons your property and its appearance are our number one priority. It is our ultimate goal to make your experience working with us stress free and mutually rewarding. Gallant & Sons takes great pride in the craftsmanship we offer, and the attention to detail that we apply to every project is always visible. We recognize that without the customer our business could not function; therefore, during every phase of your project your complete satisfaction is guaranteed and we encourage your feedback throughout the process. Also, Gallant & Sons strives to provide a safe and happy workplace for the benefit of our employees and clients. We look forward to the opportunity of serving all of your landscape maintenance and design needs.